Writing Rebels and Brothers - Where did Feud come from? 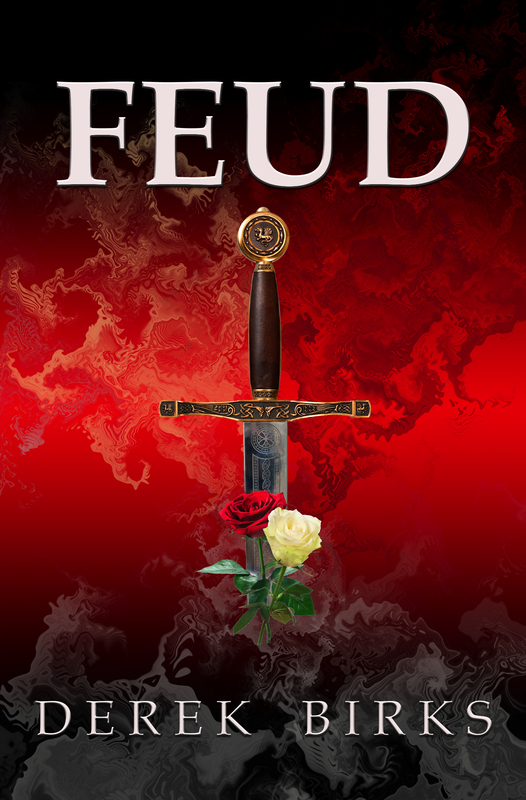 The ideas behind Feud were born out of my passion for the late medieval period and the ‘Wars of the Roses’ in particular. You couldn’t write some of the actual characters who populate the period - even without the quirky embroidery added by Shakespeare and others. From the start I didn’t want to write about just “kings and queens”, though of course they can hardly be ignored! Instead I was keen to build a set of stories around a family household, its lords, ladies, servants, soldiers, etc. I wanted to create a group of characters who would reveal the highs and lows of the period at a variety of levels of society. But this is not Downton Abbey for this is a household of people who are constantly on the run, driven from one crisis to another by the anarchic forces at work at the time. It is important to me to “get things right” with the history, so whilst I may have taken some liberties here and there, I have endeavoured to weave into my story events that actually happened and to keep such episodes in a consistent order. I’ve also tried to give as genuine a feel of the period as possible, but alas I’m fallible and somewhere I’m bound to have got it wrong, for which I apologise unreservedly. I was determined that though the central character would be a young knight, Ned Elder, there would also be key roles for the female members of the cast. One, Eleanor, was always destined to push at the boundaries of late medieval taste and accepted female behaviour – in other words she’s a bit different - as you can find out easily enough by reading some of the sample pages! The result of giving other characters such importance is multiple narratives telling the story from the perspective of both Ned and each of his sisters. I hope that this gives the book more interest for a wider variety of readers. It may seem to some readers that Feud ends pretty abruptly but the beginning of the Elders' story is over and the book ends there. It does not tie up every loose end and that is deliberate because, as I said, I always had in mind to write a set of stories not just one. So, the sequel to Feud, A Traitor's Fate, is the next chapter in the story. The struggle of the Elders continues as the Wars of the Roses reach the spring of 1464. Book three, Kingdom of Rebels, focusses on the crisis of 1469 when King Edward IV briefly loses control to Richard, Earl of Warwick. The series ends with the tumultuous events of 1470-71 when the throne of England changes hands several times and culminates at the Battle of Tewkesbury.